This passage in Luke’s Gospel recounts the Pharisees’ response to Jesus’ healing of a paralyzed man. Sometimes, we can be just as incredulous as those who were surprised by Jesus’ actions—it can take a miraculous, or near-miraculous, occurrence to put us into the proper state of mind: a state of wonder and awe. The truth is that we are surrounded by the wonderful and the awesome every day; our very lives are miraculous! But unless we see something that we don’t consider mundane—something that shakes us from our complacency—we don’t treat gifts from God with the appreciation we should. Let’s take one more look at the passage from Luke’s Gospel: “They were all overcome with amazement, and they praised God as, awestruck, they said, ‘We have witnessed unbelievable things today.’” Shouldn’t this describe our outlook every day of our lives? For a certain group of humans, this does describe a common attitude. Young children are among the best in the world at appreciating everything for what it is: a miracle. 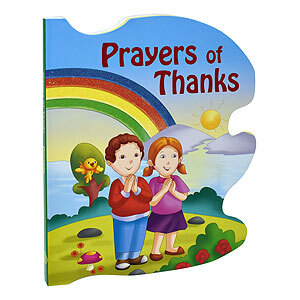 This outlook in itself gives glory to God, and it provides children with an open door for increasing their faith. Ask children questions. What did you see today that was new and different? What do you like about the way your ice cream tastes? How did you feel when your sister shared her toy with you? Lead the witness—in a good way! 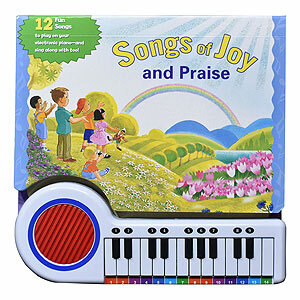 Encourage children to dwell on—and appreciate—the things that bring them joy. If they think enough about the things that “work together for good” (Romans 8:28) for them, their ruminations will lead them to the source of all good things. Don’t be afraid to answer children’s questions. Wonder only increases when we know and understand more. As St. Thomas Aquinas so eloquently explained, there is no conflict between faith and reason, when both are properly informed. So, if there is a seemingly mundane explanation for something that a child finds awe-inspiring, let the child know! For example, that blue carnation: yes, it is blue just because there is food coloring in its water. Just? The flower takes in the water because it needs to. Imagine that—a flower has in its very biological programming the drive and the ability to do what is needed for it to survive and thrive. Is this an accident? No—it is a miracle! Any child can tell you that. Bring them to Mass. Modeling prayer in any way will help the child who looks up to you to direct his or her own wonder and awe toward the Creator. 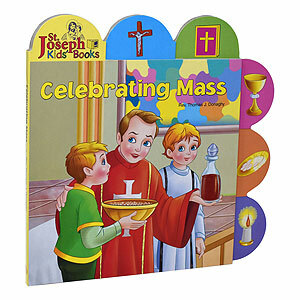 Bringing the child to Mass, though, is the most special, profound way to accomplish this goal. Sharing the greatest miracle in all of Creation—God’s own true presence among us—with a child certainly makes an impression that lasts an eternity. Science now confirms what we as people of faith have always known: that cultivating a sense of wonder and awe is good for us. The good news for adults is that if we share in the wonder and awe of a child, we are bound to enhance our own wonder, awe, and faith. A good in itself that leads to even greater good—now, that’s wonderful and awesome! 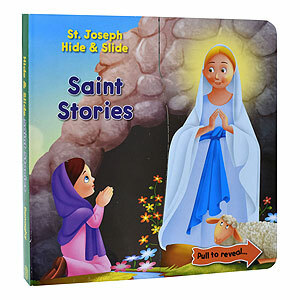 Within each page of this board book, a hidden Saint story emerges. All the child has to do is pull apart the illustration to reveal the story. 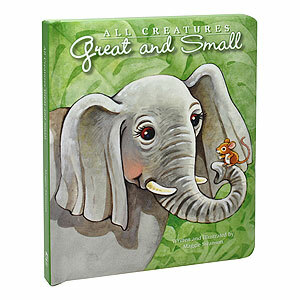 This padded board book features whimsical animals with easy-to-read text. 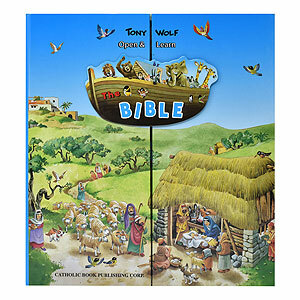 Ideal for early readers.